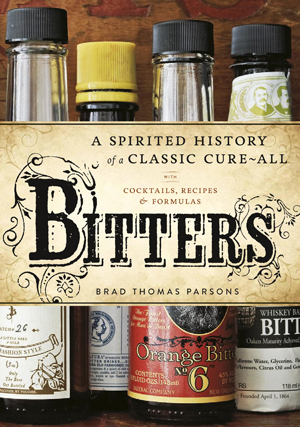 I am infatuated with my new book Bitters; “A Spirited History of a Classic Cure-All” by Brad T. Parsons. Thanks to Tom Douglas’ Cookbook social, I had the opportunity to meet Mr. Parsons. (I missed the wicked Bitters event at the Book Larder. Booo). He was lovely. He signed my book. I’m not entirely sure what he wrote, but that matters not. Mr. Parsons’ book is really a joy to read. There is an excellent section on making your own bitters, followed by cocktail recipes, both classic and contemporary. 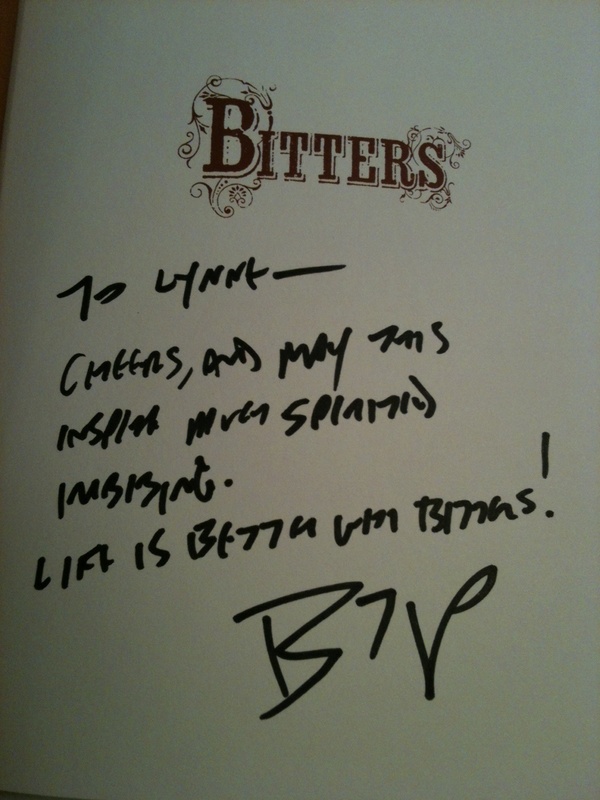 He ends with a “Bitters in the Kitchen” section…brilliant. As much as the book is a fun read, it is also a visual amusement park with beautiful photography by Ed Anderson. 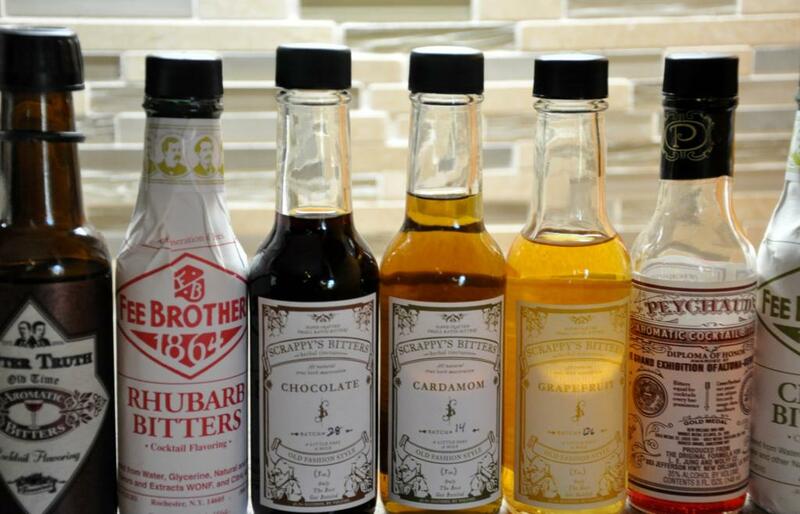 The diversity and breadth of the cocktail bitters available today is impressive and somewhat overwhelming. It’s really just fun to collect and try them. And my recent shopping trip to Dandelion Botanicals means I’m throwing my hat into the bitters ring. 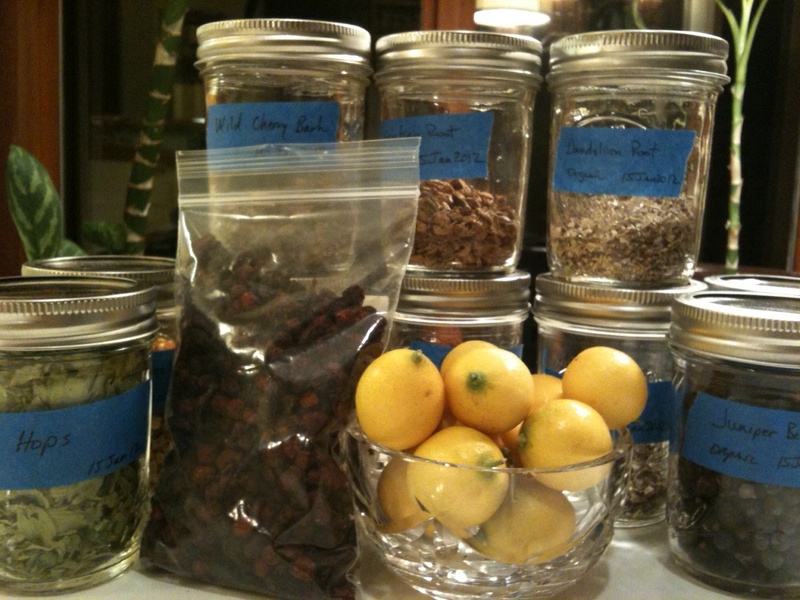 Get ready peeps, I’ll be asking you to try some of my concoctions. Meanwhile, we’re mixing a couple of autumnal cocktails featuring both bitters and bitter liqueurs. First off the bench is the Autumn Sweater, a cocktail featured in Bitters and even more recently by Sonja Groset, who also provides more detail on Italian amari. 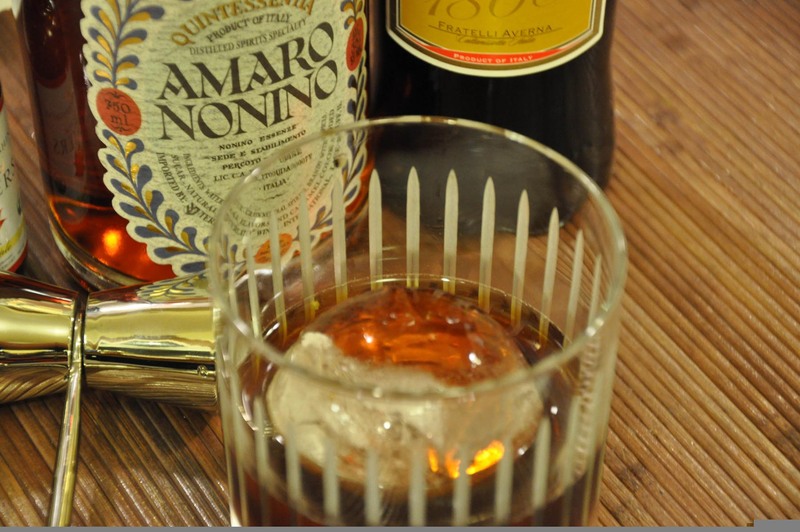 The Autumn Sweater is a rye-based drink with heavy use of the Italian bitter liqueurs Averna and Amaro Nonino. This drink is finished with both maple bitters and orange bitters. The flavor profile is perfect for wintery, cold weather. Close your eyes and imagine a big, comfortable club chair in front of a roaring fireplace, snow falling outside like it was just the other day during Seattle Snowpocalypse, and you are holding in your hand a weighty rocks glass filled with the warm, cozy Autumn Sweater. That’s what I’m talking about. Stir → Strain into a rocks glass with one big ice cube/sphere. Garnish with clove-studded orange peel. Add another log to the fire. A tasty cocktail that I often make for CR is the Filibuster. I discovered this cocktail in another book that I’m particularly fond of; Left Coast Libations by Ted Munat. The Filibuster is also a rye based drink with maple syrup and Angostura Bitters. 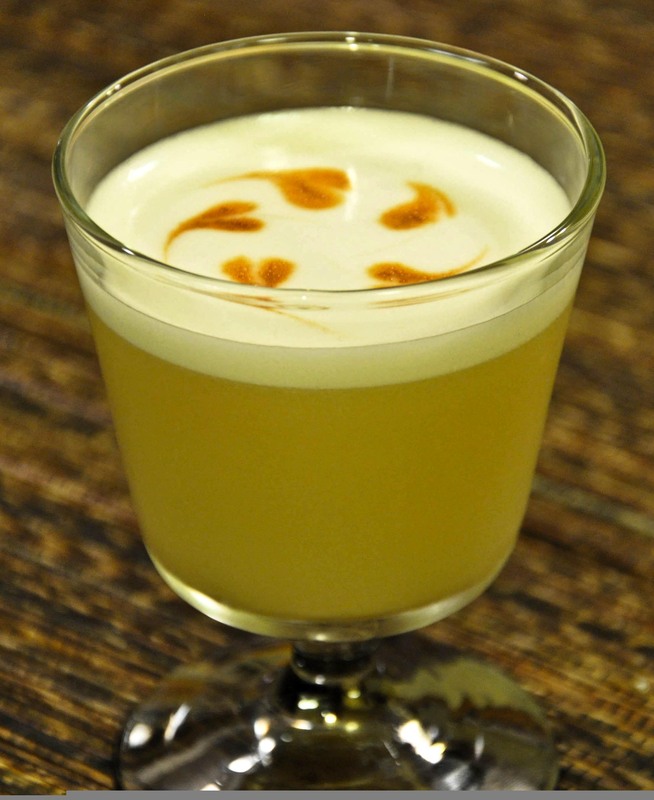 I enjoy the challenge of making the Filibuster because to successfully pull off the visual appeal “you must become the master of the egg whites.” This is a good drink. Period. Add ice and shake like hell again. Garnish with Angostura bitters. Make like a Seattle-hipster-barista and fancify the Angostura drops. Try not to down the drink in record time.